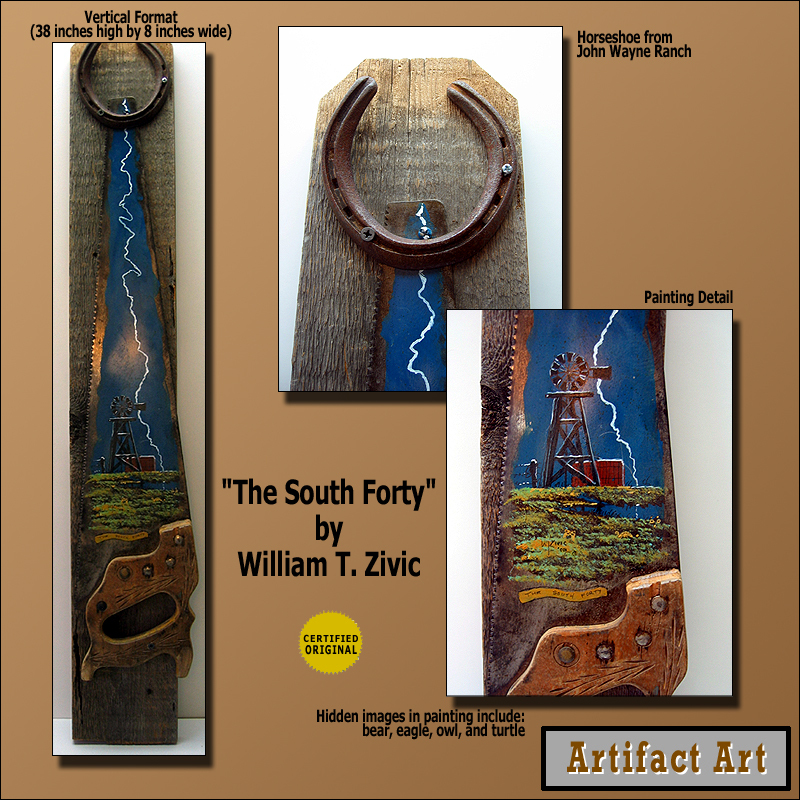 In this Artifact Art piece painted on a saw, an old battered windmill is depicted and is backed by a very tall lightning strike. This is a somewhat unusual piece in that it is painted in a vertical format. This saw painting is vertical and doesn`t take up a lot of wall space. It is mounted on rough lumber and topped with a horseshoe from the former John Wayne Ranch in Stanfield, Arizona. Piece is 38 inches high and eight inches wide. Hidden images in the piece include: bear, eagle, owl, turtle.